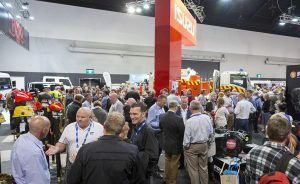 Australia’s leading emergency management conference and expo, AFAC17 powered by INTERSCHUTZ, attracted a record attendance of more than 3,200 visitors to Sydney to discuss the latest in research, learning and practices in collaborative management and natural hazard responses, last week at the International Convention Centre Sydney. 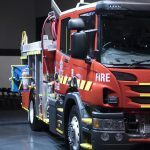 AFAC’s successful partnership with Deutsche Messe, organisers of the world renowned emergency management trade fair INTERSCHUTZ, brought the exhibition to Sydney for the first time in six years. “The theme of the conference was collaborating for success and it was really great to see so much collaboration occurring throughout the four days. 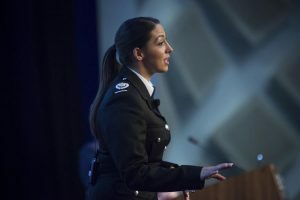 The calibre of speakers across the program, alongside the live demonstrations of technology and new rescue techniques demonstrate the strength of Australia’s emergency management and natural hazard response sector,” said Mr Ellis. 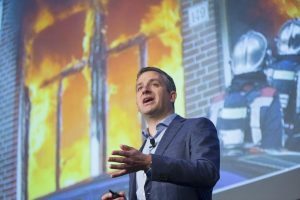 “Australia is a leader in emergency management research, and we are proud to see research from the Bushfire and Natural Hazard CRC being shared with the industry at the Research Forum. Our partners are embracing the results of the science and working hard to implement the work into their practices. AFAC17 powered by INTERSCHUTZ provides a fantastic chance for the broader sector to see how our science is being used, as well as what is to come over the next four years,” said Dr Thornton.